PINELLAS COUNTY, Fla. — Red tide samples taken Friday by Pinellas County leaders show low levels of red tide off Fort DeSoto, Gulfport and John's Pass. Pinellas County beaches are still pristine, but county leaders worry it may not stay that way. That’s why scientists are now expanding their sampling along miles of coastline. On Friday, leaders from the Pinellas County Environmental Management team tested four spots for red tide. All of them, with the exception of Redington Beach, showed low levels of red tide. Pinellas County employee Kelli Hammer Levy says the county decided to expand their testing in order to help visitors, residents and business owners plan. “We want people to be able to plan their weekends and their vacations and make educated decisions. I’m trying to envision what a bad bloom would look like here and I thought 'no I don’t even want to go there'," Levy said. Ina Mekus and her family traveled all the way from Germany. 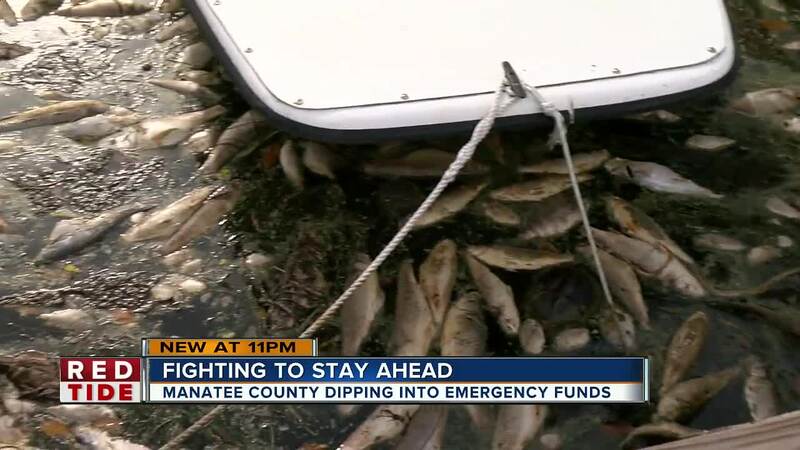 They were devastated to find red tide in Sarasota County. Now, they worry their new favorite spot at Pass-a-grille, could be next. USF Professor Dr. John Paul has a new tool to help detect the toxic bloom. It's called a tricoder and it can test eight samples at once in half the time as other testing methods. Within minutes, scientists have data that can help them determine if a beach or shellfish harvesting bed should be shut down. It's critical information as this red tide blooms. “Right now it’s just been one big boiler cooker of red tide. Time is of the essence and we think this tool can help," Paul explained. 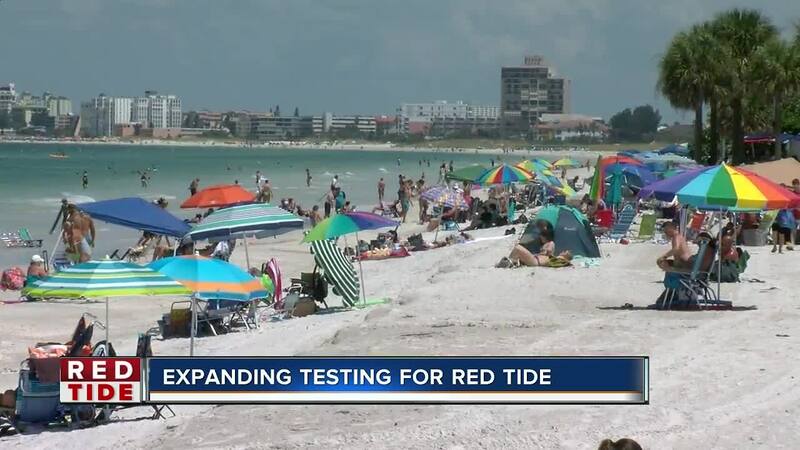 Pinellas County leaders plan to take samples every day at a handful of locations, then post the information online so you know which beaches are safe to visit. So far, only a handful of people have reported coughing or scratchy throats on Pinellas County Beaches.